So…a week or so ago I finally realized what the strange traffic patterns that Google Analytics kept showing me meant: people trying to reach my old art gallery were getting redirected sideways into this post. These poor visitors from Pinterest wanted to see bead animals, not nail art. And my craft category was not doing it for them. 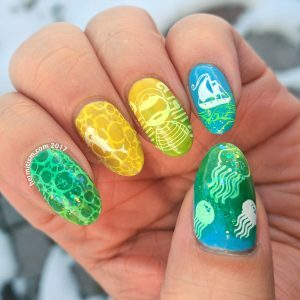 As someone who uses Pinterest, I hate the dead ends. 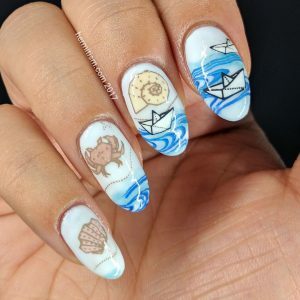 I hate it when you want to find who made that art and how and you end up stuck in some weird loop and even Google Images just pulls up Pinterest again. Somewhere on the web this thing I wanted to know about died and Pinterest is just keeping its corpse warm and on display and it’s so frustrating. But at least we have a pin parlor to look back on things, so there’s that to be grateful for. Anyway, I set up a page to capture the errant traffic and let those visitors know that I have not abandoned them. This is the first in a series of blog posts looking back on ye ol’ art gallery. For the most part I will not be re-taking any photos unless someone requests it, so forgive the comparably poor quality. It’s kind of a dice throw anyway since I have better lighting equipment, but I can only use my cell phone to take the photos. The site is old (2013), in frames (yuck), and in French (Oui! 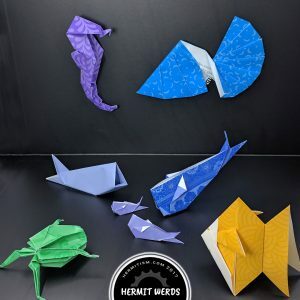 ), but the patterns are all available for free. 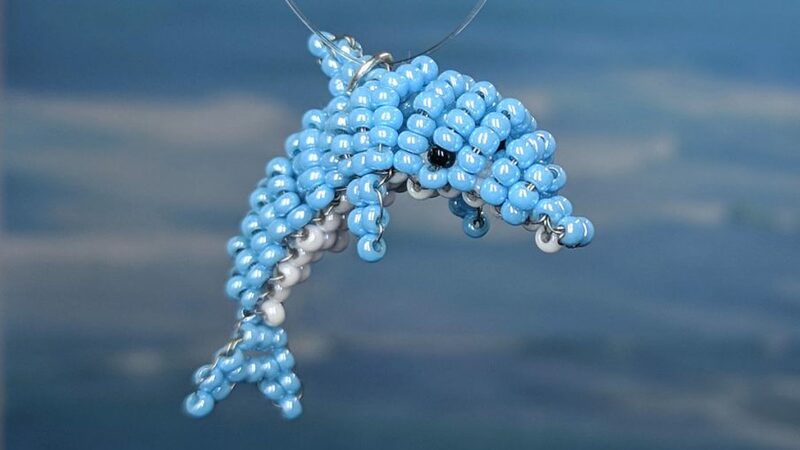 This dolphin is the number one beaded animal people are looking for. 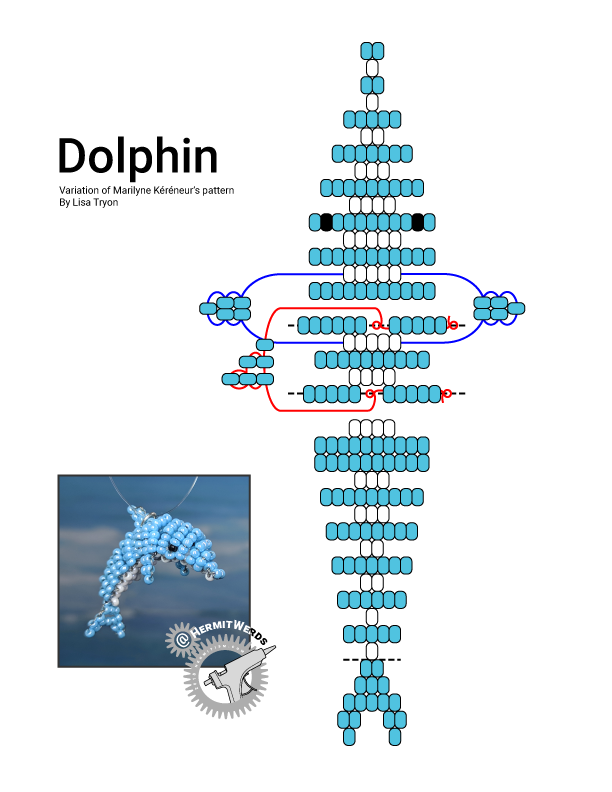 I wanted to say I just added the back fin to Marilyne’s design and I started to put together a little graphic to show how I did it and then I realized I’d added a few more rows onto the back so the dolphin’s body would curve. So here is the full pattern, I guess. 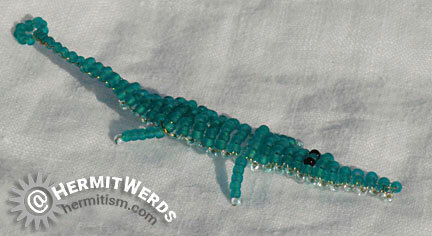 Cute little crocodile/alligator, but I never used the loop on its tail to hang it from anything. 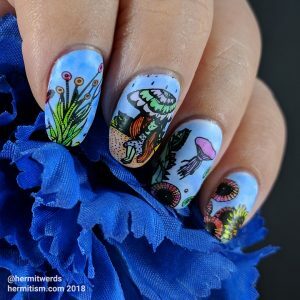 Always really hard to see the details on this one. 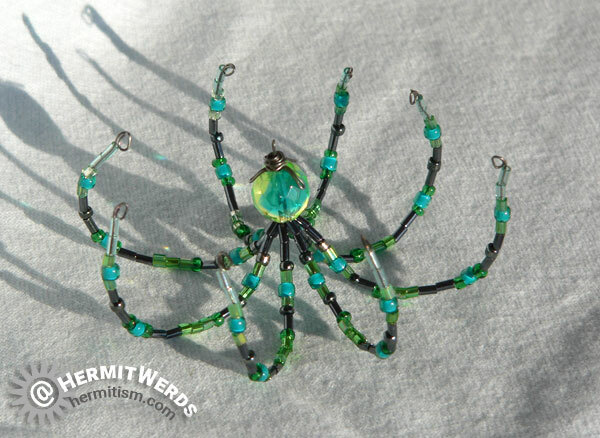 I’ve since seen a beaded octopus that I liked much better, but it uses different sizes of beads and a weaving technique so it’s much more complex. 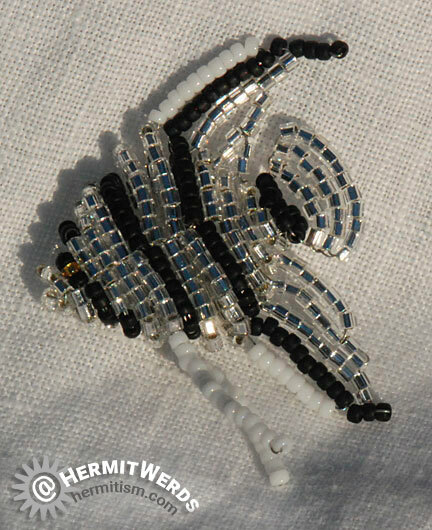 This angelfish is a favorite because it’s so shiny. 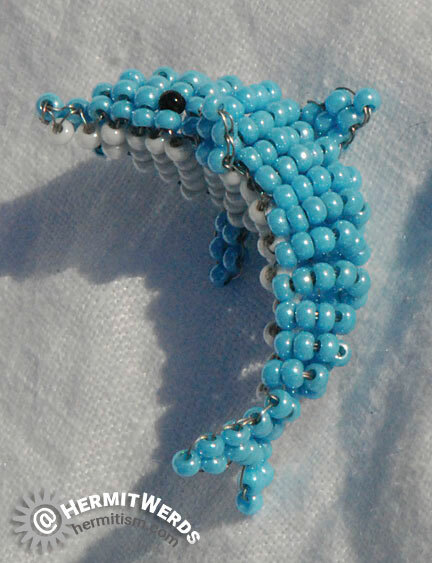 I made it out of 12/0 hex seed beads instead of 11/0 beads. 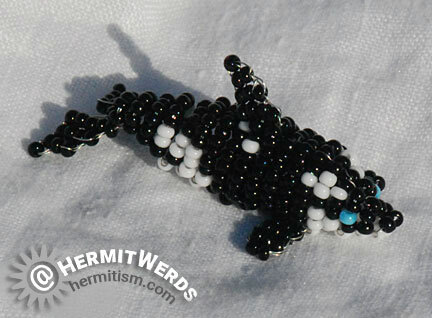 Quite a handsome killer whale pattern. Oddly enough, the only sea creature that I get no traffic for. 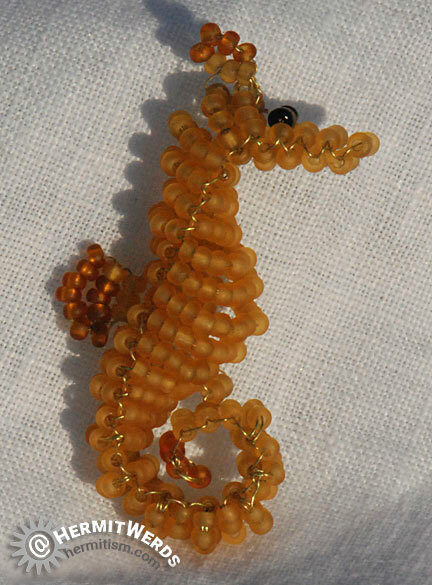 I’ve seen cooler seahorse bead animal patterns, but those patterns are also much more complex. 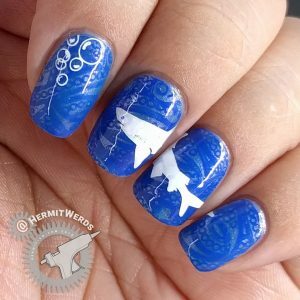 For simplicity and style, I think this patterns wins. So the fault must be with my photo or color choice. I love this little crab, but he was very hard to make and then I somehow lost him. 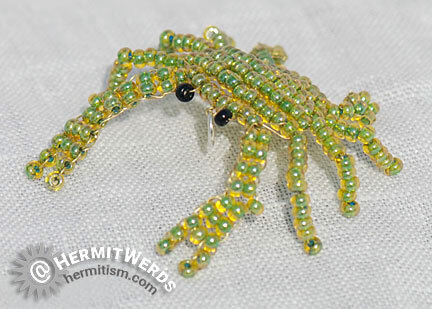 If I ever get back into making bead animals, I will definitely be looking to design my own crab. Probably several of them. 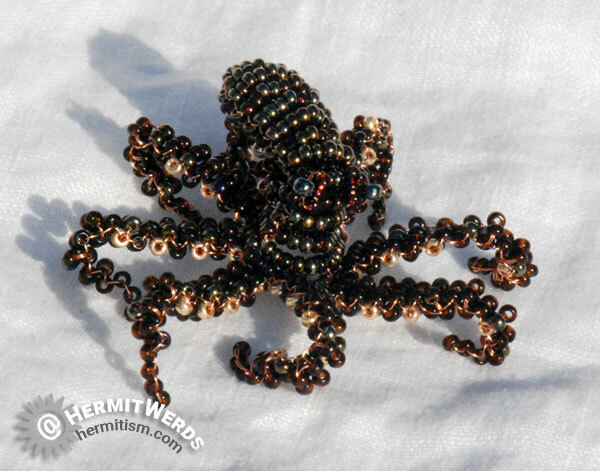 I made this bead octopus along the lines of my many bead spiders (which will feature in a different post). It is surprisingly popular. As this was a gift, this photo is all we shall have.